Goodreads Synopsis: Seventeen-year-old Cassie is a natural at reading people. Piecing together the tiniest details, she can tell you who you are and what you want. But it’s not a skill that she’s ever taken seriously. That is, until the FBI come knocking: they’ve begun a classified program that uses exceptional teenagers to crack infamous cold cases, and they need Cassie. 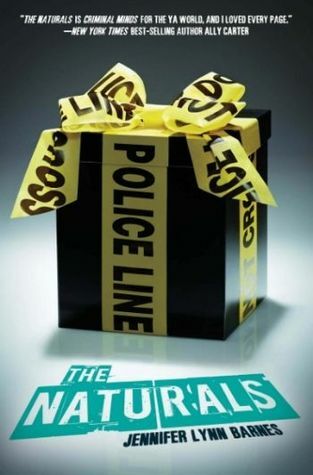 The Naturals by Jennifer Lynn Barnes was a great action packed thriller about seriel killers and teens with powers to undercover cold cases from the FBI. I was happy I picked up The Naturals since I've been reading a lot of relaxing books, I decided to kick it up. Did I regret it? No, I really liked The Naturals! 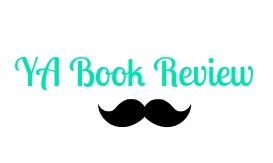 The Naturals was a fast-paced thriller that had a great plot. A protagonist that reads peoples minds? The FBI? Cracking cold cases? Count me in! It had everything to grab anyone, and I did deliver on some parts. I really liked Cassie. She was a great character that didn't take herself to seriously. And she brough the story alive. Every aspect of the book was done amazingly! From the characters to the pacing. It all moved together great and you'll definitely find yourself moving the pages fast enough to move on. The writing was bothering for me. At times, I would forget who would be talking or what Cassie was talking about. And that usually meant re-reading the chapter, which kills because I love the story and I want more! The book also had pages titled "YOU" and I thought it was cool, but I felt myself just skipping them and moving on. I wanted this one. Then I heard some mixed reviews about it so I put it on the back burner. But I think I'm going to borrow this from the library. I think the concept is interest and hopefully the writing and story will be amazing too. I enjoyed this one except for the love triangle. Looking forward to the next book! I really should read this one. It has been sitting on my shelf for what seems like ages. I'm glad you liked it! I too enjoyed this one but the romance was awful for me hah. But I am excited to read Killer Instinct and see what happens next! I read this awhile back and really enjoyed it. I can't wait to read the sequel. Great review Patrick! Shadowgun Legends Hack Live Generator for Android and iOS Device.